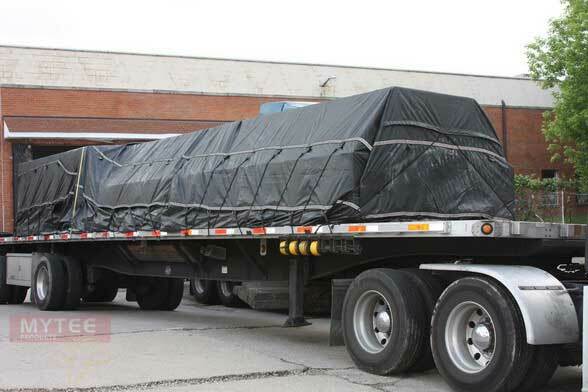 We cannot tell you the number of times we have come to the aid of flatbed truckers needing brand-new lumber tarps to replace older tarps with holes in them. More than any other kind of tarp, the lumber tarp cannot have any holes in it whatsoever. 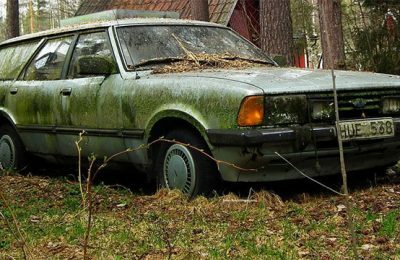 The cargo underneath is far too precious, and to easily rejected by receivers afraid of moisture content and other potential damage. Small holes in lumber tarps can be repaired with a basic tarp repair kit. 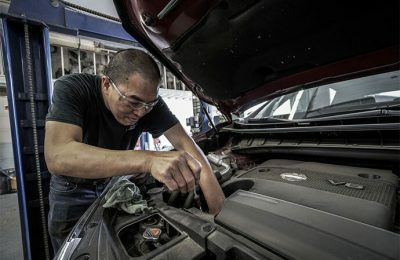 But a driver must be careful to monitor repairs over time to make sure they hold. Furthermore, repairing large holes may not be practical or reliable. Anything bigger than a quarter can easily reopen, even after a successful repair job. It would seem to the casual observer that lumber does not need to be protected from the weather. After all, lumber can always be dried out or cleaned if necessary. What non-professionals do not understand is that moisture level is critical to the overall quality of retail wood products. Lumber tarps are used to prevent products from absorbing additional moisture during shipping. If moisture levels get too high, lumber products can easily warp. Furthermore, drying out lumber that has too much moisture can cause additional disfiguring. Raw lumber products leave processing mills with a particular moisture content measured and verified; that moisture content needs to remain as constant as possible during shipping. This is why lumber tarps are so important. The last thing a truck driver wants to hear is that the receiver is rejecting his or her load. Where lumber is concerned, it is an especially serious problem. Where other kinds of cargo can probably be sent to a new customer to be sold secondhand or at reduced prices, rejected lumber is hard to get rid of. The driver whose load is rejected because he or she did not use good tarps faces a potentially hefty bill from the shipper as well as a lost customer in the future. Another thing to consider is your reputation as a driver. Let’s assume you deliver a questionable load of lumber because you have holes in your tarps. You will automatically be under suspicion next time you deliver a load to that receiver. This will result in extra scrutiny that will cost you time, money, and extra effort. You are better off avoiding the entire thing by making sure you use good tarps that keep your lumber dry. Owner-operators are responsible for purchasing and maintaining their tarp inventories. If you are an independent trucker, make an investment in high-quality tarps that you know will last for a long time. Also, make a point of regularly inspecting your tarps with every load. Keeping abreast of the situation makes it a lot easier to maintain a good quality tarp inventory 365 days a year. If you are a company driver, do not take for granted that your employer will routinely repair and replace tarps with holes. You may have to bring damaged tarps to the attention of your manager or dispatcher in order to get them taken care of. If that’s what it takes, that’s what it takes. You need the proper tools to do your job to the satisfaction of both your employer and customers. Do not be afraid to let it be known that tarps are damaged. This is true for your entire inventory, not just your lumber tarps.